A chemical accident in a sleepy town turns ordinary donuts into bloodthirsty monsters. Unaware of the donuts’ danger, Johnny, Michelle and Howard sell them to unsuspecting customers. When the donuts start eating their victims, the only way the three friends can save their sleepy town is to track the Killer Donuts down and destroy them. The final standoff is where it all began: Dandy Donuts. 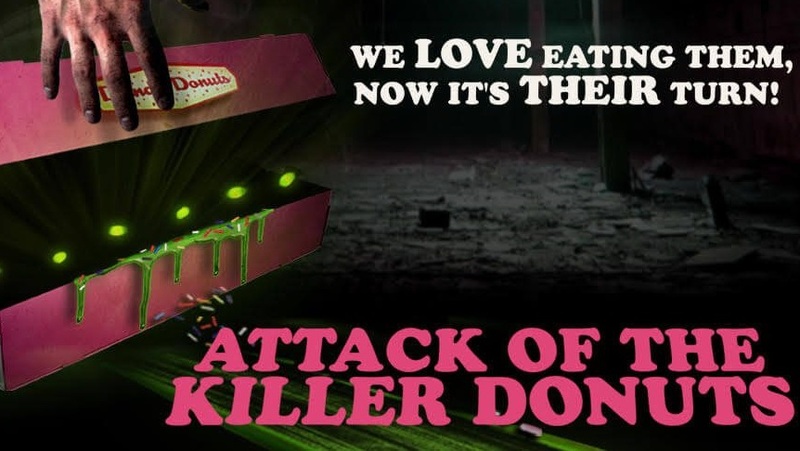 Attack of the Killer Donuts is in select theaters (amazing) and is currently available on VOD platforms. Watch the trailer below and learn more by Liking the official page on Facebook.